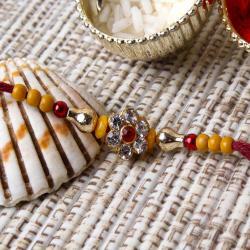 Rakhi being the symbol of a great bond shared & cherished is a special way of celebrating the festival. 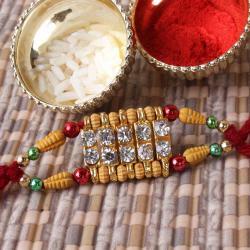 This Rakhi Combining the traditional touch with exclusive in designing give extraordinary looks. 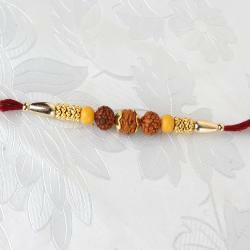 Rakhi is share your love to brother in the most impeccable way, an impeccable combination could only serve the purpose of gifting accurately. 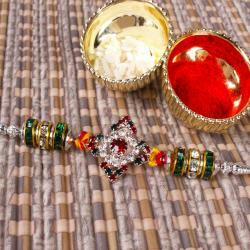 Get incredible mauli color combination of Rakhi for festival. 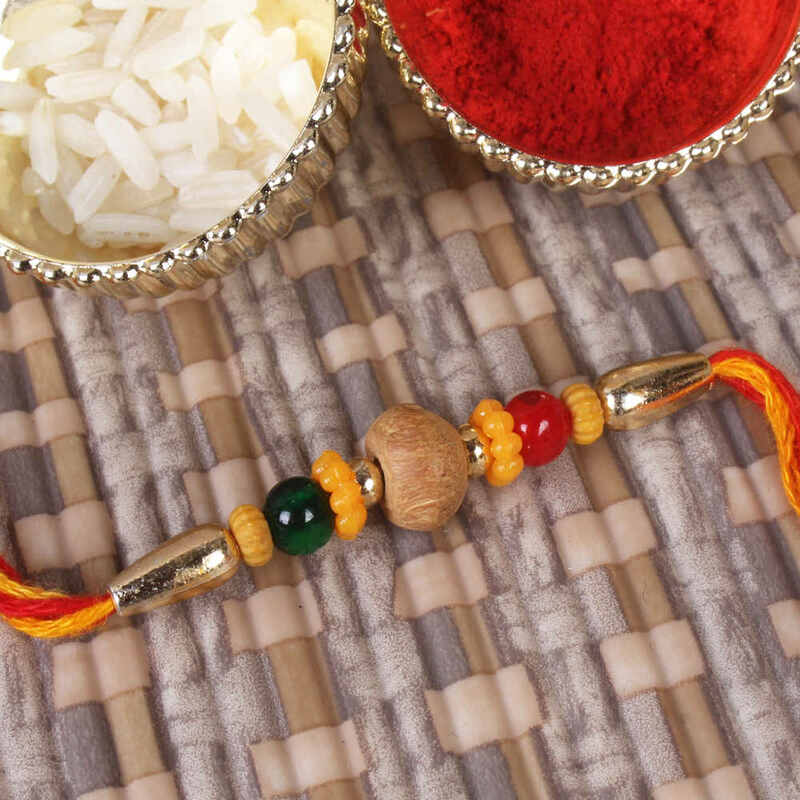 This Product Includes: Wooden Bead with Mauli Color Beads Rakhi Thread with Packet of Roli chawal.